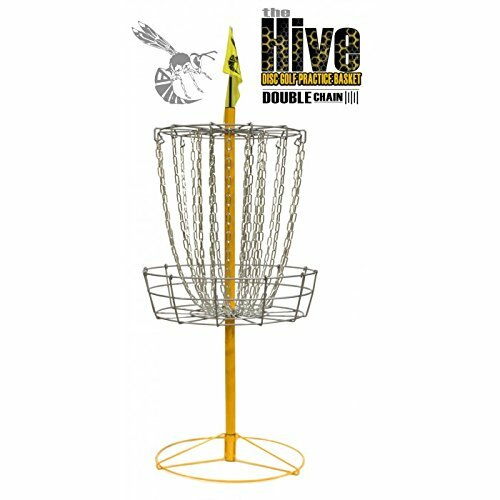 The Hive Practice Basket is a very economical option for disc golfers looking to sharpen their putting skills. It's also a great option for temporary pins at tournaments, tournament prizes, schools, or anyone getting started with disc golf. Cross Chains version which consists of a single layer of 12 chains connected together with two cross strands. Double Chains version which consists of two layers of 12 chains.